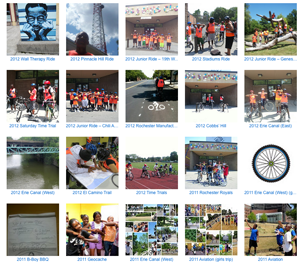 Cyclopedia is a bicycling program that combines physical activity with collaborative online documentation for the purpose of empowering urban adolescents to become engaged and healthy members of their communities. The lack of habitual outdoor activity that is often referred to as “nature-deficit disorder” manifests as increasing rates of obesity, behavioral problems, teen pregnancy and other adverse health outcomes; Cyclopedia’s objective is to prevent these problems from happening. Each ride has an explicitly local theme pertaining to the neighborhoods our riders live in. All the videos from the NYC East Harlem 2015 season. 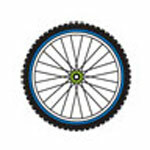 Click here for the individual rides. Cyclopedia was started by pediatric residents in the Pediatric Link to the Community (PLC) program at the University of Rochester in 2009. We partnered with the Rochester Boys and Girls Club to launch our inaugural season in 2010. 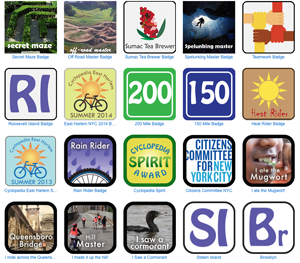 Our first season saw 19 riders accumulating nearly 800 miles and over 70 hours of program time on 14 rides. 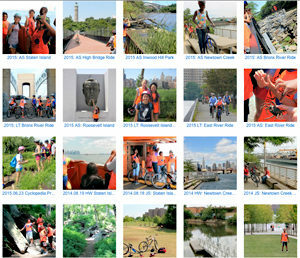 Our East Harlem program launched in 2012. Hundreds of riders, and thousands of miles, photographs and words later…here we are! Enjoy the ride. 2104 Rochester Video Playlist. See more about these trips here.